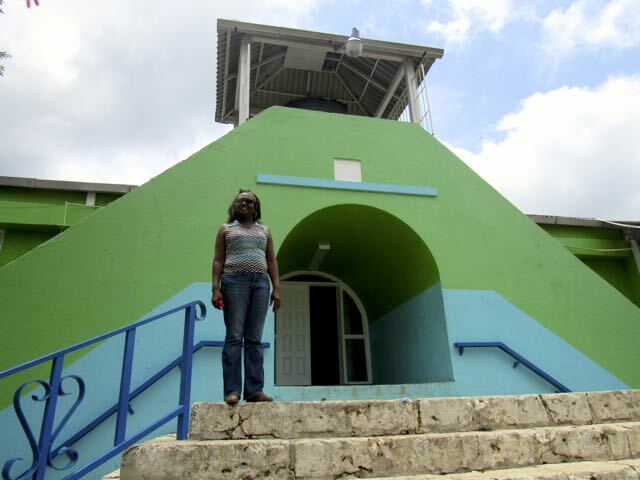 Towards the end of the summer, I had the opportunity to visit two SOS Children’s Villages in Jamaica: one in Stony Hill, St. Andrew and the other in Barrett Town, near Montego Bay. On both occasions, the villages were relatively quiet; most of the children were out enjoying themselves at summer camps, before the new school term started. Village Director at Stony Hill Marcia Brown welcomed me at the top of the steps. The building is quite an old one, with deep cut stone steps and some solid stone walls inside. There was an unfortunate fire there in October 2016, which destroyed the computer lab and equipment, donated through IGT’s generous After School Advantage Programme for underprivileged children. However, the lab is already restored, and due to have its official opening shortly. I am not sure if they have located one yet, but the home does need a trained IT supervisor for the computer lab. 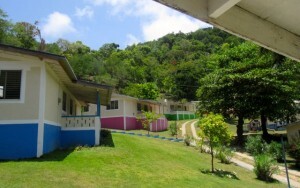 The SOS Children’s Village in Barrett Town was embraced in a sleepy hush, apart from the distant sound of music over the hill. It was a humid afternoon; all the children were out at their much-anticipated summer football camp near Montego Bay. At the end of a bumpy road, the Village is tucked into a small, green valley. There were brilliant yellow crotons, and a splash of red on the hillside from an African tulip tree. 78 children currently live there. 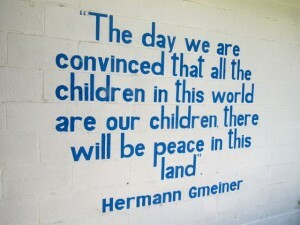 A quote from the founder of the SOS Children’s Village, an Austrian philanthropist named Hermann Gmeiner, was painted on the wall of the computer lab building (also a donation from IGT). A large framed photograph of Mr. Gmeiner (1919 – 1986) depicted a man with a kind smile, perched on an Alpine mountainside far away. 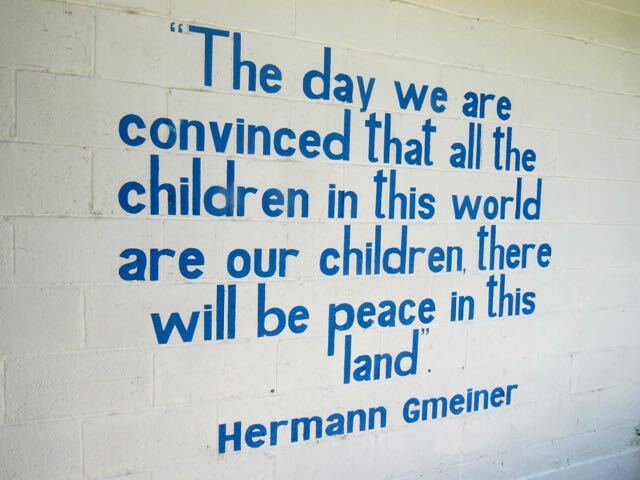 He founded the first SOS Children’s Village in Imst, Austria in 1949, and clearly this quote reflected his post-war philosophy. Hermann Gmeiner believed in family; as of 2013, over 82,000 children and youth were being raised and cared for in 554 SOS Children’s Villages and over 600 SOS Youth Facilities (for 16 to 18 year olds) worldwide, and many thousands of adults and children were benefiting from a family strengthening programme. The children, aged six upwards, who live in these homes (in separate houses, headed by “Aunties”) are not orphans. They are separated from their family homes because – to cut many long and painful stories short – they are no longer happy family homes. All of the children bear the inner (and in some cases outer) scars of abuse and neglect. There are brothers and sisters living in the Villages. A few may, one day return to their families, depending on the circumstances. Most do not. At age eighteen, they are supposed to leave the institution where they have been nurtured, and fend for themselves; in some cases, however, they are kept on into their early twenties, if they simply have no place to go. Some pursue college courses, at this point; Stony Hill has students at Shortwood Teachers College, the University of Technology and elsewhere. 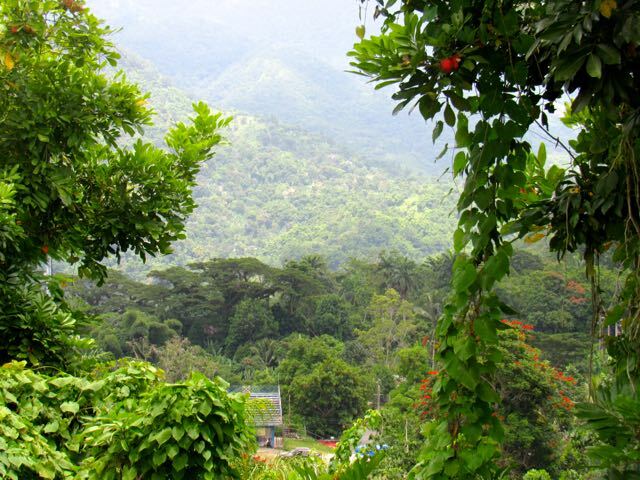 Approximately 4,800 children were in State care in Jamaica, as of March 2016; more than a village, almost a small town; and around six Ward Theatres full. Certainly, that is what family is all about – with love as an added ingredient. We need to protect the children of this country. We are currently working with donors to create scholarships just for these children. We are anxious to make announcements of these opportunities in the coming year.